We work with only the best excavators. They are skilled and experienced in the trade. When budgeting for your home or project, excavation and foundation are NOT the place to cut corners. This is the entire base for the building process. It is crucial it is done properly. By working with the best excavators and giving you a detailed estimate on your concrete construction, you are assured that you are getting the best quality for the money. Whether you are building a new home, placing a foundation under an existing building or even a small shed, we do the job efficiently and effectively. There are NO hidden fees or surprise bills at the end of the job. Compared to our competitors, our pricing is accurate and includes everything (labor, steel, windows, etc.) that pertains to the job. We are a fully insured company which is equally as important to you as it is to us. Our workers are covered under workman's compensation. Upon acceptance of a job estimate, we will furnish you with a current certificate of insurance. The concrete suppliers we work with have been in business for 50+ years and have the best product available. They have strict quality controls in place and test/monitor their product daily to ensure that the proper mix is available for all jobs. 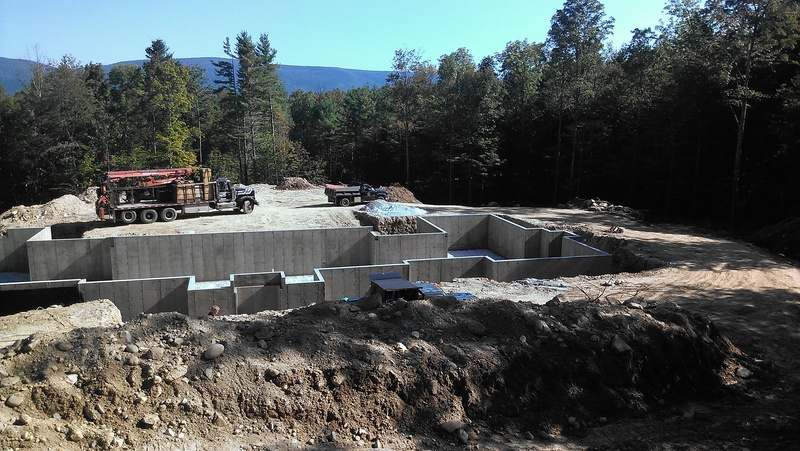 We use the maximum amount of steel in all projects: footings, walls, and slabs. For example, we use a steel mat in every wall for reinforcement which provies maximum strength and stability. Our floors are finished to perfection. It is something we pride ourselves on. They have an incredibly smooth surface and all floors have control joints sawed for minimal cracking. All are sealed with concrete floor sealer at no cost to you! We offer complete replacement or repair of your existing foundation. We work in conjunction with one of the most skilled "jackers" in the business who has extensive experience raising and moving existing structures..